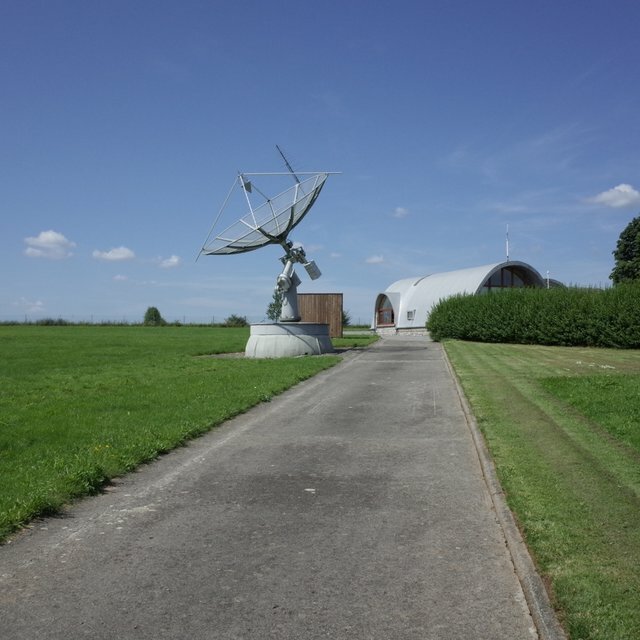 The Humain Radioastronomy station (05° 15 12 E, 50°11 31 N), is located about 120 km to the South East of Brussels in the Belgian Ardennes. A 6-m dish radio telescope is operated automatically and tracks the Sun from 7:30 till 16:00 UT every day. Two spectrographs are currently installed, one is a Callisto spectrograph from the e-Callisto network. It covers the band 45 - 447 MHz. The other one, named HSRS is a SDR-based instrument used as a spectrograph. It covers the band 275 - 1495 MHz. The Callisto spectrograph is connected to a log-periodic antenna mounted as piggy bag on the side of the dish. The HSRS instrument is connected to a log-periodic antenna placed at the focus of the parabolic dish.